My wife, Nancy, and I went to Venice on our Honeymoon. It was magical, riding a gondola through the canals… and I felt like I was transported back in time. With this painting, I wanted to capture what I felt when we were there… being surrounded by buildings which were historic… and romantic at the same time. 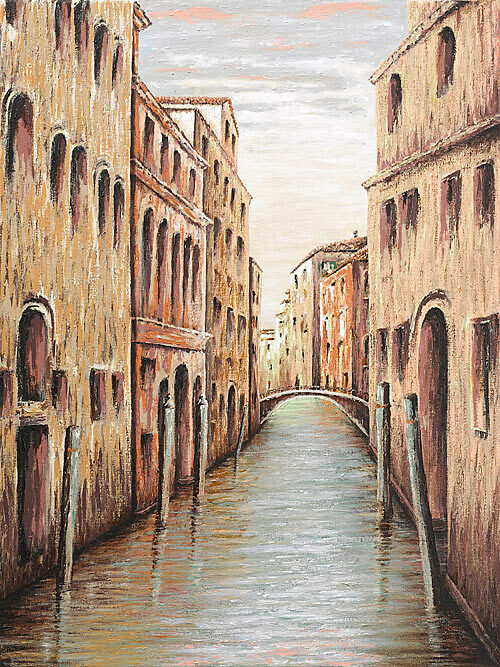 Canale Veneziano is being offered as a giclée on canvas print, with a limited production of 75 signed and numbered prints. The canvas measures 18" x 24"